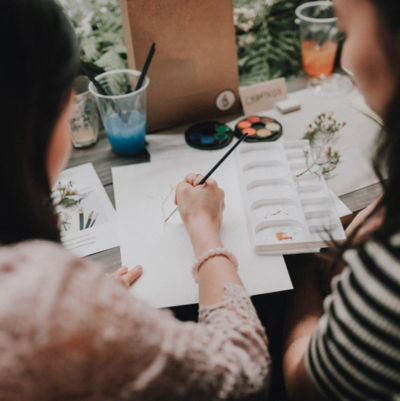 On Saturday the 15th July I attended one of A Little Bite’s (@alittlebitebygrace) ‘Fashion and Floral’ illustration workshop at The Freedom Hub in Waterloo. 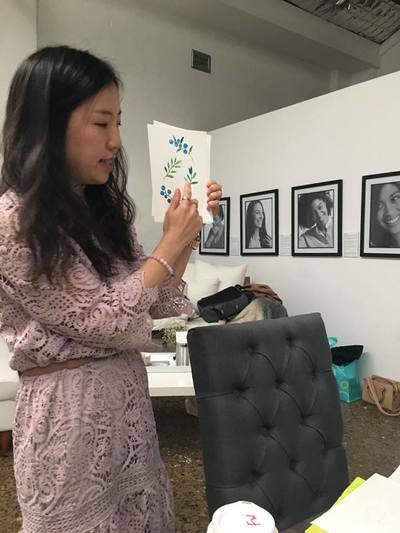 As a stylist I am always looking at ways to broaden my creativity which is why I jumped at the opportunity to attend one of Grace Choi’s illustration workshops. I have been following Grace on instagram and I admire her work so I was excited to have the opportunity to learn from her. Grace has a beautiful style and uses watercolour paints to make her illustrations come to life and this technique is what she so generously shared with us. We started off with some sketching and played around with hard and soft lines. 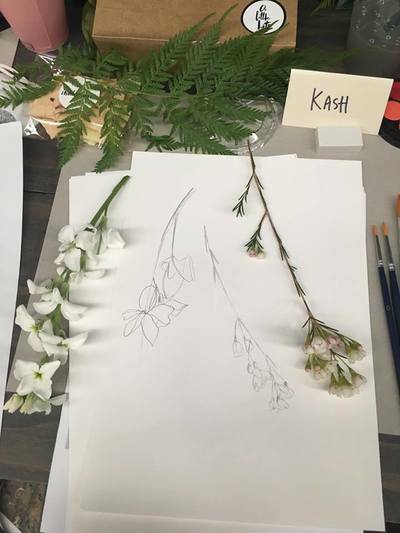 We used the beautiful flowers on the table by @beaticeandblooms as inspiration for our sketches and we were also lucky enough to take the blooms home at the end of the workshop. 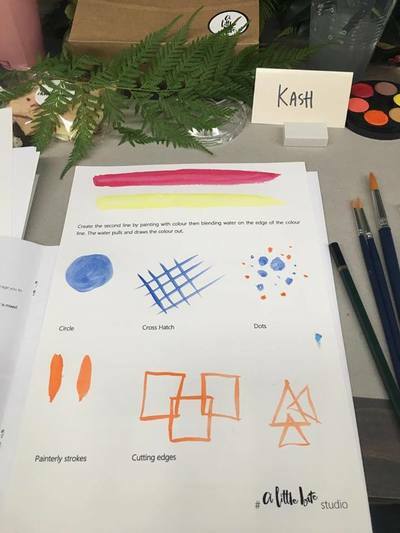 We then started using our watercolour paints and practiced basic tecniques to get us used to the brushes, the colours, the amount of water needed and to see how it dries on the paper. Once we got some confidence in the techniques we were able to choose a fashion or floral picture to work on our own watercolour illustration. 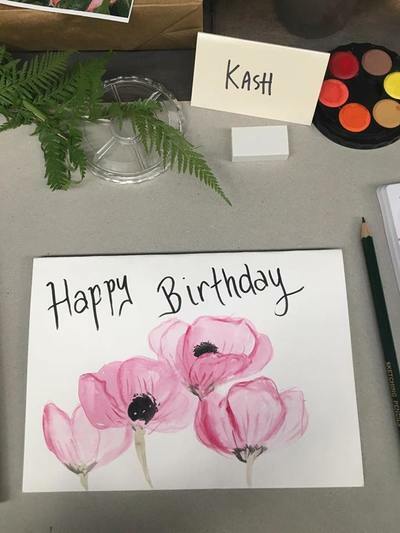 I decided to do a birthday card using a floral picture and with the help of Grace’s guidance I was pleasantly surprised at my first attempt at using water colour since year 7 or year 8 art in high school. Grace was an excellent teacher and keeps the workshops small so she can give you hands on advice and so she can answer all your questions along the way. The other attendees of the course were lovely and were all inspiring in their own way. It was a great course and I absolutely loved it! The Freedom Hub was also the perfect space for a workshop like this as it was such a beautiful space. Grace has a workshop coming up in Melbourne and then will be booking in more dates for Sydney. I would definitely recommend her workshop to anyone that either works a creative role or anyone that loves being creative.